Laid down, 28 March 1944, at George Lawley & Sons, Neponset, MA. 1451k Members of the 30th Inf., 3rd Div. 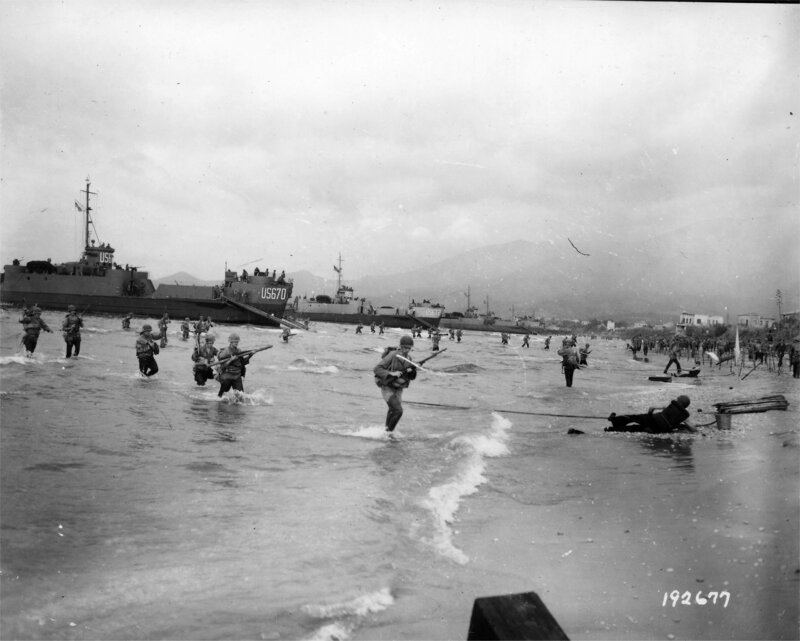 board LCI(L)s, 24 July 1944, near Naples, Italy, for a practice landing in anticipation of the coming Invasion of southern France in August of 1944. 1162k 3rd Inf Div. 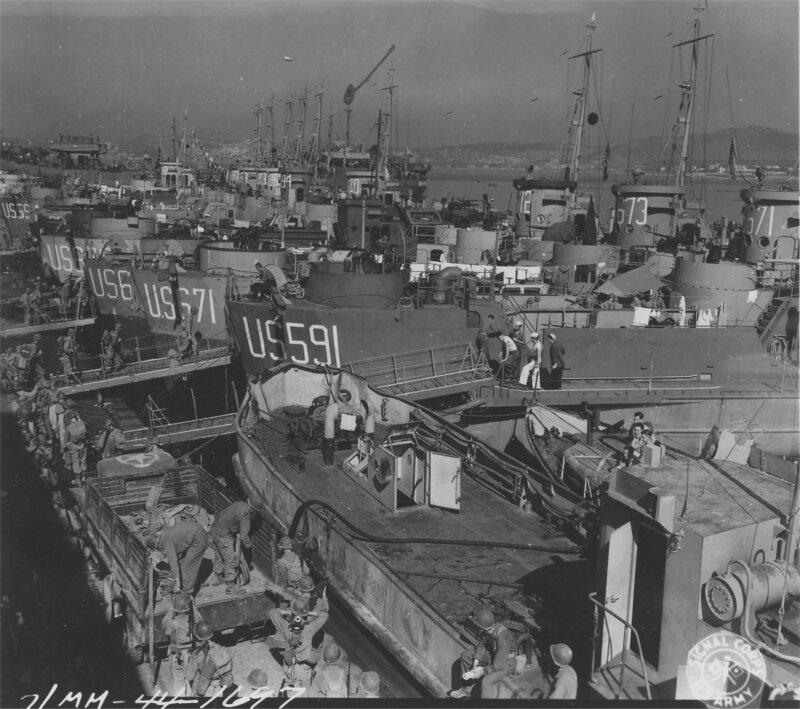 troops disembark from USS LCI(L)-670, USS LCI(L)-672, USS LCI(L)-669, USS LCI(L)-673, and two unidentifiable LCIs in the distance, during practice landing operations in the Formta area of Italy, 31 July 1944, prior to the invasion of southern France in August 1944.